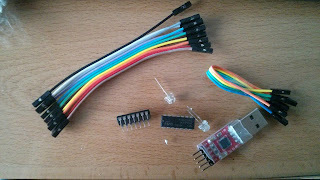 Lately, you'll have realised I'm writing about electronics like UART connections of an Orange router or how to see the booting process of broadband routers. Therefore, I have used words like multimeter, oscilloscopio, ground, volts, etc in previous posts. However, this time, I want to go beyond and I have bought a couple of inverters with some leds and a breadboard to make some experimental circuits. At first, in this post, we'll see how the 74HC04 inverter works and how to test it. 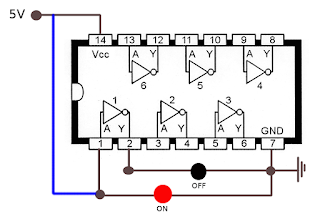 An inverter is a chip that it's be able to change the logic state of an input to the opposite state. For example, if the input is a HIGH logic signal, the output is a LOW logic signal, and if the input is a LOW logic signal, the output is a HIGH logic signal. 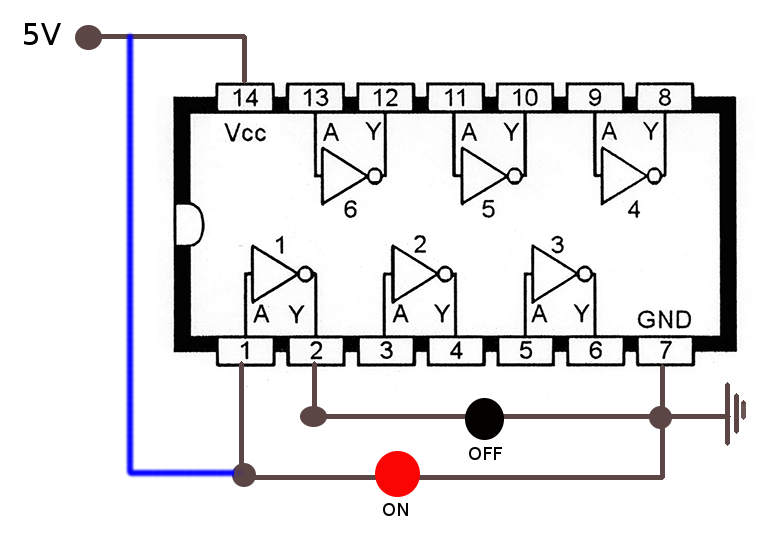 This is a basic and necessary chip when we want the opposite state of an input state. 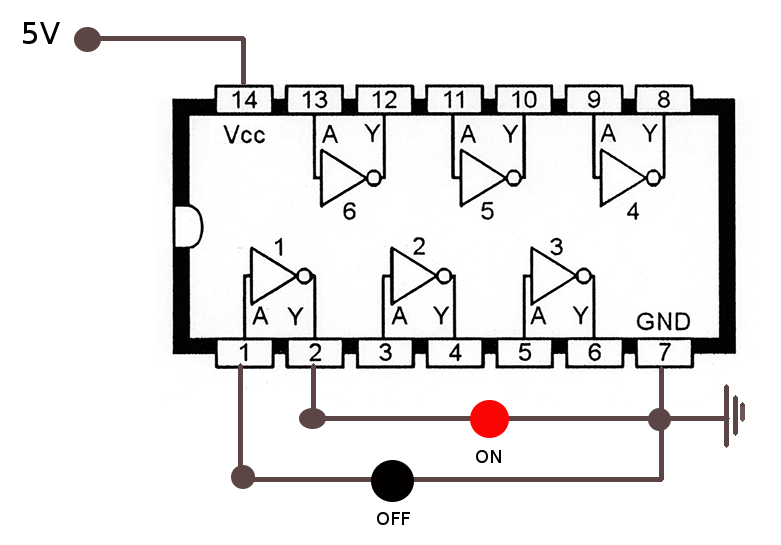 The 74HC04 hex inverter chip has 6 gates where the logic signal output by an inverter gate is the opposite of the logic signal fed into the gate. In addition, we can see in the 74HC04 datasheet that the A's of each gate are the inputs and the Y's of each gate are the outputs, meaning Y is the opposite logic signal of A. 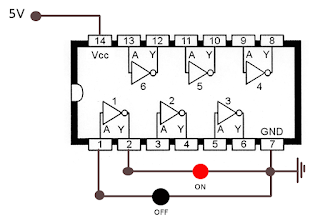 This is an easy way to test each gate of our inverter chips and especially to understand how it works. Next, we have a video I recorded.